Home/ Blog/ Kate and William – The Ultimate Dream Wedding? Kate and William – The Ultimate Dream Wedding? As Kate and William attend the wedding of a friend, we take a look at their own Big Day and ask whether it really was the dream wedding. We also look at how their marriage has been faring after fifteen months. It may now be over a year since the Big Day happened, but still a near-religious fervour surrounds the engagement and wedding of Kate Middleton and Prince William and the events that led up to it (not to mention everything that Kate has worn after that dress). Glossy magazines, blogs, and tabloid papers are still trying to find ways to allude back to that day as if it represents an ideal that should not be let go. Yesterday, for instance, some of the papers reported on Kate and William attending a wedding of one of Kate’s college friends where no more than four of the couple’s former partners were said to be in attendance. Instead of being seen as a small awkward moment (as it would be with most people bumping into exes at these events), it was turned into a discourse on how strong the royal couple’s marriage is. There is also the implication that no wedding will ever match up to the grandeur that occurred in April of last year. Well I suppose it would be hard to beat a viewership of over 300 million worldwide; an audience of your nearest and dearest indeed! But perhaps there is a little more to it than impressive numbers. I think a lot of people actually believe in them as a couple. Having lived out a very public relationship since the start, the people were able to get to know them almost in the way they get to know soap stars. The very persistent harassment by the press. The legal actions following on from that harassment. The very public and still much speculated upon break up and reconciliation. It all sounds like a weekly round up of celebrity news in Heat magazine but what made Kate and Will stand out from other celebrities and their weekly fracas, was the dignity they maintained throughout. Not just towards the public, but to each other. You can tell they have a lot of respect for each other; nothing seems heated over overwrought with these two. They are very easy with each other as can be seen in almost every photo you see of them especially on that particular day. William showed how much he loved Kate by giving her his mother’s engagement rings. 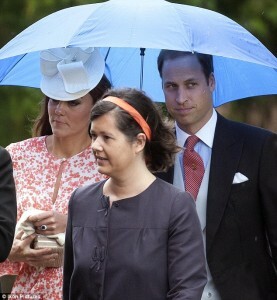 If you want a ring like Kate’s but without paying a royal sum check out our DENEBOLA ring here . 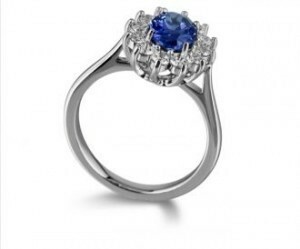 And for William to give Kate his mother’s engagement ring. Some might say it was an obvious inevitability. But in light of what happened to Princess Diana and the coveted esteem in which he holds her memory, the boy who lost his mother wasn’t just going to give away a relic of how he came to be to just anyone. So long may this marriage of monarchy and minds continue. What are your thoughts on William and Kate’s marriage? Do you think their union is sincere? Was their Big Day the ultimate dream wedding? Tell us your thoughts in the comments below or talk to us on Facebook and Twitter.